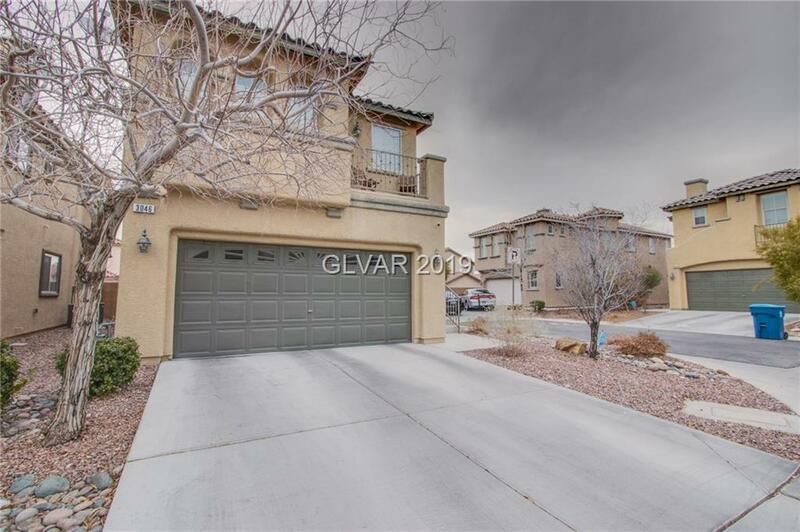 Truly gorgeous home in excellent condition. Upgraded flooring throughout. Granite counters w/ stainless steel appliances. Split level home with 2 living spaces, 1 up & 1 down. "Den" can be made back into 4th bedroom w/ addition of closet. Master has balcony & walk in closet. Very unique "barn door" between bedroom and master bath. Epoxy floor in garage w/cabinets. Fantastic floor plan for traditional or multi generational living. Don't miss out! Directions: From Southern Highlands & Dean Martin: North On Dean Martin. Right On Piazza Tuscano. Left On Victoria Medici. Right On Majella To Property.